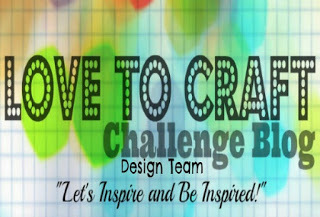 It's a new month and a new challenge at Love to Craft Challenge Blog. 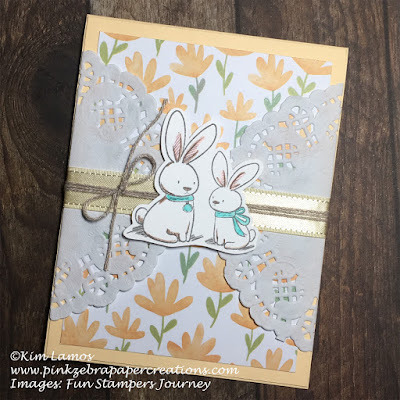 It is always Anything Goes, but I had to make an Easter card because Easter is coming. 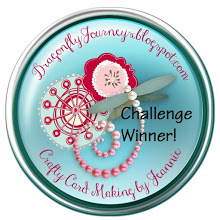 I actually found a card on Pinterest that I used for the layout of this card. 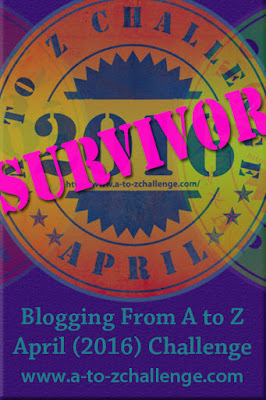 The whole card is put together on a piece of Banana Cream Cardstock. I then added a piece of pattern paper from Create and Bloom Pattern Paper. I then cut a doily in half and placed each half on either side. I then wrapped a piece of Banana Cream Satin Ribbon around the card followed by a piece of Journey Natural Twine and tied this in a bow. 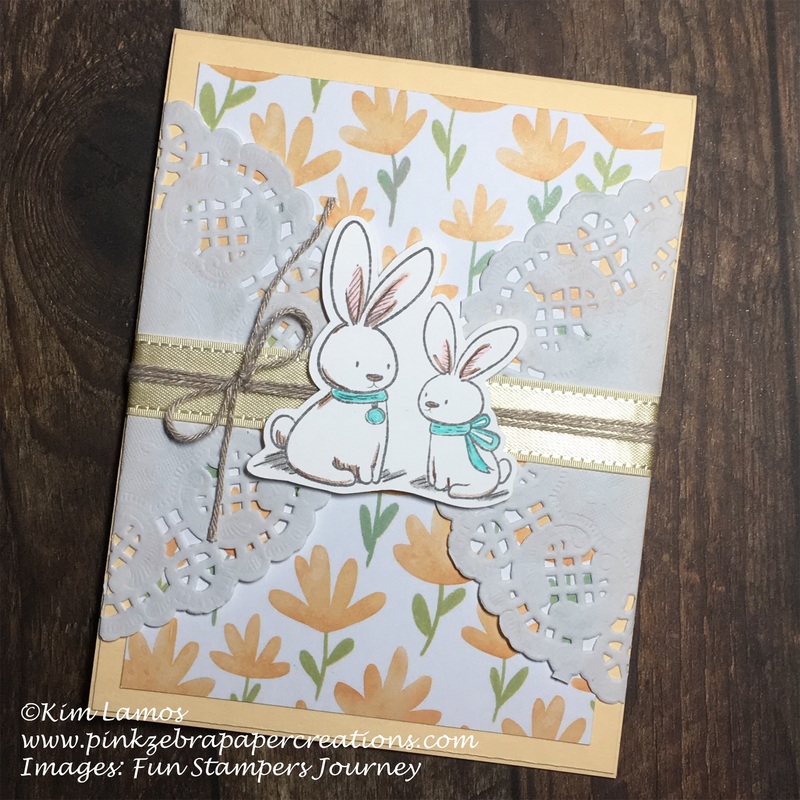 I then stamped the rabbits from Hippoty Hoppin stamp set with River Stone ink and colored the image using Journey Color Burst pencils.